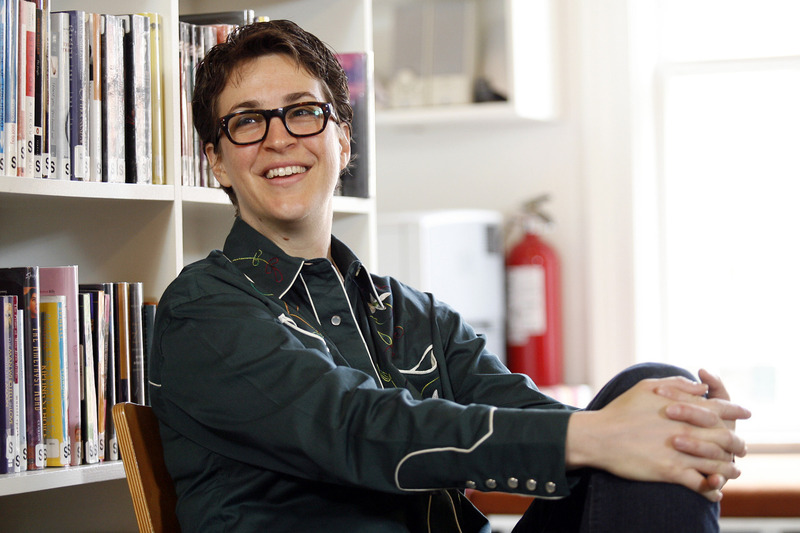 Rachel Maddow shares a laugh during my interview of her at my school. These exciting and inspiring words from Rachel Maddow were heard by a group of our high school students Thursday, April 23, 2009. Maddow’s incisive political commentary and analysis on her MSNBC program The Rachel Maddow Show has won her the admiration of progressive news viewers, pundits, academics, and activists, including our very own high school students and faculty. 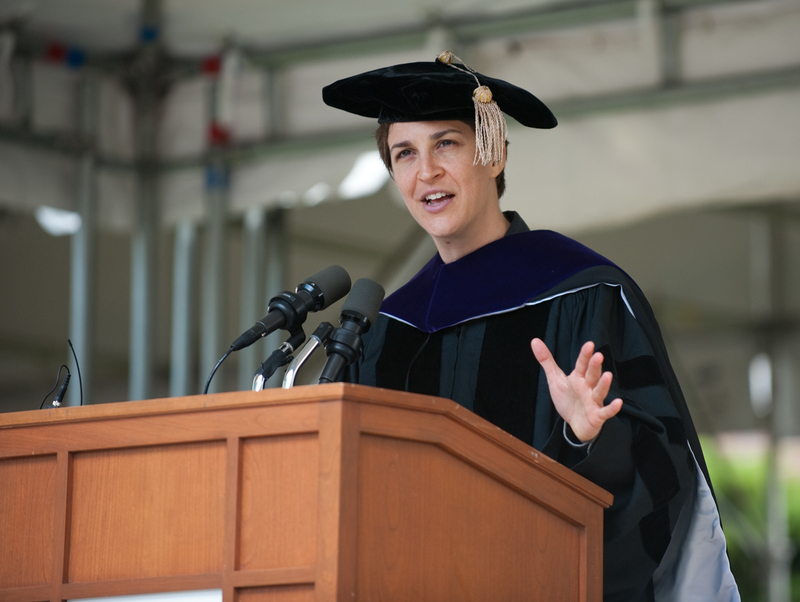 Gathered in our library’s intimate and sun-filled study space, Maddow and fifty students and teachers talked about her career as well as her views on current political events and issues. Of course, I’ll never forget our shared moment of singing and seat dancing to the Schoolhouse Rock jingle “I’m Just a Bill” for the gleeful benefit of students who hadn’t grown up in the 70’s. Rachel Maddow on activism: "The fight in your life will find you." At the end of my interview, I presented Maddow with the children’s book And Tango Makes Three by Justin Richardson and Peter Parnell, citing that on a recent episode of Maddow’s show, Maddow and Kent Jones had just marked the third anniversary of the book on the banned books list. And Tango Makes Three sits proudly on the read-aloud lists of our lower school colleagues at my k-12 school. The look on Maddow’s face when I opened the book to show her our students’ signatures was priceless (see photo slideshow below). I also presented Maddow with a signed copy of Staceyann Chin’s new memoir The Other Side of Paradise. Open to all students in the high school, the event attracted those who have taken my colleagues’ courses on constitutional law, journalism, banned books, the global war on terror, economics, human rights, and my courses on feminism and LGBT literature and film. A photo slideshow of the event can be found here. Photojournalist Angel Chevrestt took the photos.